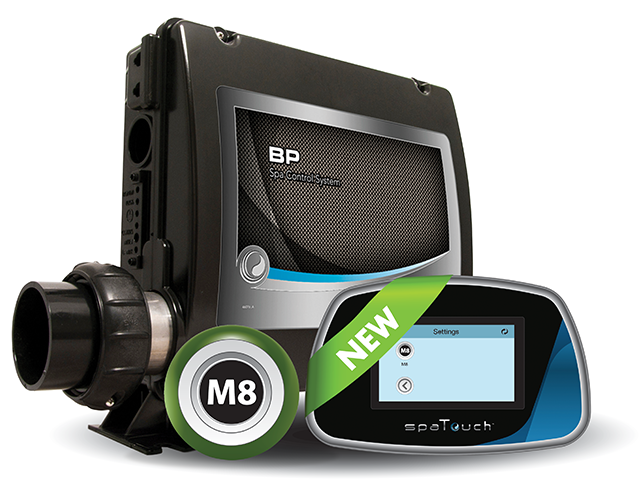 The all NEW BP software with artificial intelligence to optimize the temperature of your spa and minimize your energy consumption. • Incorporates artificial intelligence to manage the temperature of your water. 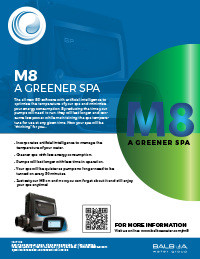 • Greener spa with less energy consumption. • Pumps will last longer with less time in operation. • Your spa will be quieter as pumps no longer need to be turned on every 30 minutes. Just set your M8 on and now you can forget about it and still enjoy your spa anytime! on the conditions and the ambient temperature. If the sensors do not detect a decrease in water temperature from the last time it was checked, M8 will gradually increase the intervals all the way to 2 hours if the conditions are very stable. If a user removes the spa cover for example and the tub water temperature starts dropping significantly, M8 will immediately reduce the checking intervals down to 30 minutes. 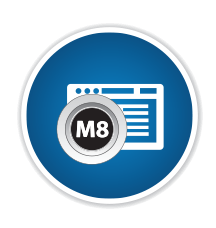 M8 resets the checking intervals to 30 minutes whenever the user interacts with the system (activating equipment, changing heating modes, modifying the set temperature, removing the spa cover, etc. ).